Border guards are too few for effective control, says Petro Tsyhykal. The newly appointed head of the State Border Service of Ukraine Petro Tsyhykal is set to increase the number of border guards at the border and deploy new units. "In my opinion and in the opinion of many experts, our border guard units have too vast areas of responsibility. 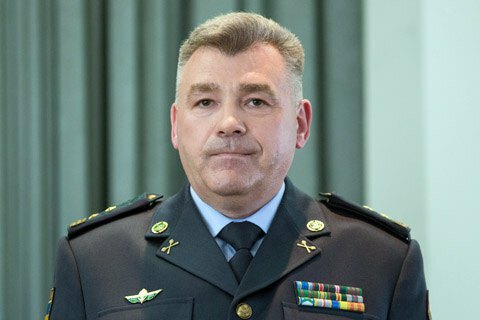 It is very difficult to effectively organize the service in such areas, so we are planning to increase the presence of border guards at the border and deploy new units," Tsyhykal said in an exclusive interview to Interfax-Ukraine released on Monday. "Such need does exist in the eastern sector, taking into account the military aggression of Russia, and on the western border in view of the activities of organized criminal groups." He noted that this issue will be coordinated with the country's leadership, since additional funds should be allocated to increase the number of border guards. Late last month, President Petro Poroshenko dismissed the head of the State Border Service of Viktor Nazarenko and replaced him with Tsyhykal. Previously, he served as the chief of the Operational Activities of the State Border Guard Service.